Ace the GMAT Essay? No, Thanks! This is the older version of a post that has since been updated. Find the newest version here! Ace the Essay? No, Thanks! This is the original version of a piece that has since been updated. 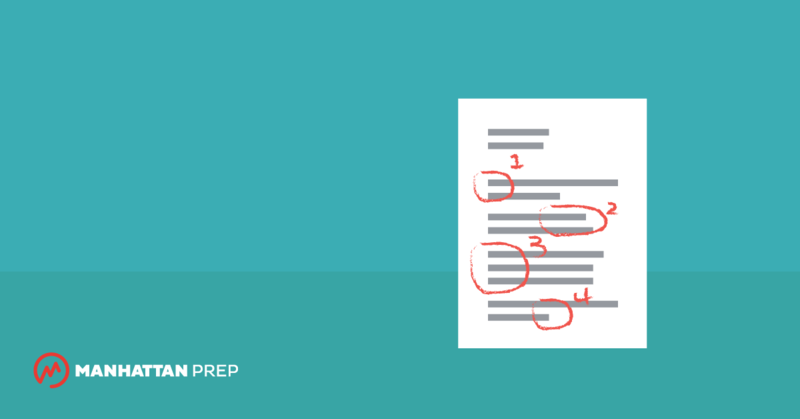 See Stacey’s latest tips on tackling the GMAT Essay. We all know that the essay on the GMAT is scored separately and that the schools don’t care as much about the essay score. We also know we have to write the essays first thing, before we get to the more important Quant and Verbal sections (or even IR), so we don’t want to use up too much brain-power on the essay. Still, we can’t just bomb this section; the schools do care about the essay somewhat. So how do we do a good enough job without expending so much energy that we’re negatively affected during the multiple-choice portion of the test? We need to develop a template, an organizational framework on which to hang our writing. The template will not, of course, tell us exactly what to write. For that, we need the actual essay prompt, which we won’t see until we take the test. We can, however, determine how to organize the information ahead of time, as well as the general kinds of messages we need to convey at various points throughout.